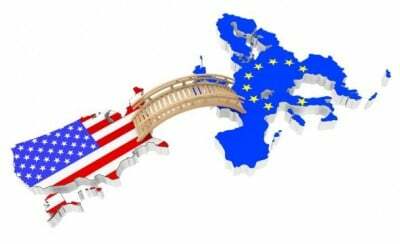 The European Union and the USA have been negotiating the Transatlantic Trade and Investment Partnership (TTIP) behind closed doors since 2013. Negotiators kept insisting that their secret talks would work in the best interest of the public and the environment. But since Greenpeace leaked the TTIP draft negotiating documents it became clearer than ever, that this trade agreement could become one of the most dangerous weapons in the hands of the fossil fuel industry in its effort to kill Climate Action for the 21st century. The elephant in the room is here and it is huge: the word “climate” means something totally different in the TTIP papers. In 2011, the government of Quebec responded to concerns over water pollution by implementing a moratorium on the use of fracking. The energy company Lone Pine Resources then filed an investor-state lawsuitbased on the North American Free Trade Agreement (NAFTA), seeking US$109.8 million plus interest in damages. In 2009, Swedish energy multinational Vattenfall sued the German government, seeking €1.4 billion in compensation for environmental restrictions imposed on one of their dirty coal plants. The TTIP would put in place a parallel judicial system that allows companies to bypass national courts altogether. “I think this is one of the most dangerous things we have seen in the last decade: this idea of Investor State Dispute Settlements (ISDS). If a regulation only potentially cuts into the profits of a company, these companies can turn to arbitration”, warns Jesse Bragg from Corporate Accountability International. According to a United Nations report, 35% of all cases in which corporations are suing governments on the basis of trade agreements, are so far related to Climate Change. And with the fossil fuel industry currently under enormous pressure, these numbers are growing. Fossil fuel corporations are increasingly using ISDS under existing trade and investment deals, thus contributing to a recent surge in legal cases. In 2014, for example, half of the new ISDS cases targeted policies affecting oil and gas extraction, mining, or power generation. “As the anti-fossil fuel forces gain strength, extractive companies are beginning to fight back using a familiar tool: the investor protection provisions in free trade agreements”, warned Canadian journalist and author Naomi Klein. The fossil fuel industry now openly admits how it wants to make use of TTIP to maintain their polluting business. According to Houston attorney Tom Sikora, Legal Counsel with ExxonMobil, energy companies are particularly keen to turn to arbitration. And as US-based oil and gas giant Chevron stated in a 2013 statement, the company would lobby for “a world-class investment chapter” in TTIP. The company has had several meetings behind closed doors with the EU’s TTIP negotiators. To Chevron, TTIP is “one of our most important issues globally”. Meanwhile, Chevron remains one of the biggest polluters of our times, refusing to pay for its toxic mess, and currently facing a lawsuit for contamination of the Amazonian rainforest, as ordered by the Ecuadorian courts. If an oil company describing a trade treaty between states as one of “our most important issues” raises suspicion, then what is actually written in the TTIP text? Elected governments normally have the right and power to regulate and adopt laws for protecting the air, the climate and people’s health. The TTIP would turn this principle upside down. Companies will no longer face restrictions such as having to prove that their operations violate a country’s environmental legislation. Instead, the TTIP imposes the complete burden of proof on the Governments, who will have to prove that all their measures are “necessary”, “appropriate” and “legitimate”. The general idea behind trade agreements – that of reducing unnecessary regulations – is not necessarily a bad one but the TTIP has no “crash-barrier-clauses” in the form of strong paragraphs, which ensure that governments will keep their right to regulate when it comes to protecting the environment, people’s health or the climate. In fact, in the TTIP text, the word climate appears only in the context of good “investor climates” and this speaks volumes. The article on risk management states that governments “shall design and apply risk management in a manner as to avoid arbitrary or unjustifiable discrimination, or disguised restrictions on international trade”. Any restrictions on international trade would enable companies to sue governments in Investor State Dispute Settlements – just as Lone Pine did when Quebec implemented a moratorium on fracking to protect its ground water (as reported above). The chapter on technical barriers to trade demands from governments to always choose the “least burdensome possible procedures” when they regulate. This means that democratically elected governments and parliaments could be forced to reduce restrictions for corporations, instead of controlling their emissions. This is an open invitation for corporations to sue governments for climate protection measures that would cut into the profits of the fossil fuel industry. According to Professor Gus van Harten of Osgoode Hall Law School, “States may be deterred from implementing measures to fulfill their climate change responsibilities, faced with risks of uncapped financial liability due to ISDS claims”. In the case of Vattenvall and Germany mentioned above, just the threat of ISDS was enough for Germany to water down environmental standards related to the company’s coal plant. Profiling from Injustice: How law firms, arbitrators and financiers are fuelling an investment arbitration boom. Polluters Paradise: How investor rights in EU trade deals sabotage the fight for energy transition.